Accommodating over 325 guests, our Texas Hill Country-inspired Chapel and Reception Hall are the perfect blend of rustic elegance and state-of-the-art amenities. Complete with Austin stone and wood finishings throughout, our venue embodies refined Southern charm. 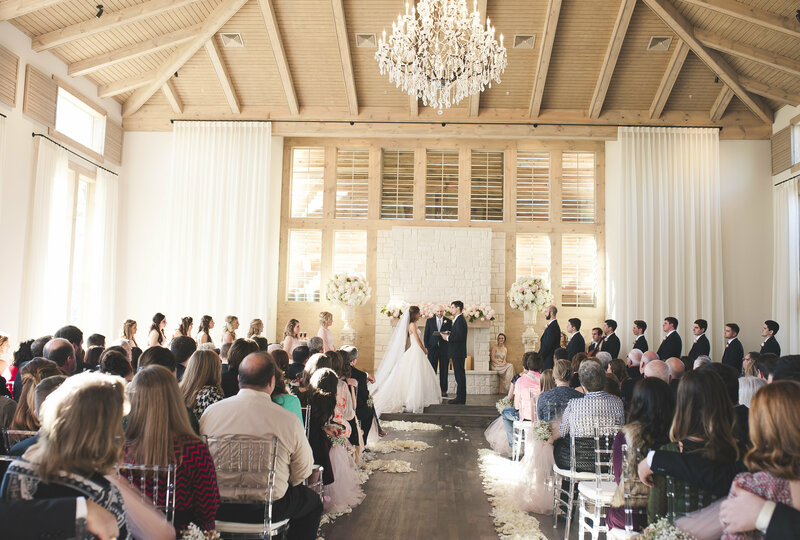 The Chapel features a dramatic austin stone fireplace, gorgeous draping, walls of beautiful windows, spacious 40-ft ceilings, and a grand staircase to make a dramatic entrance. Relax and enjoy our separate Wedding Suites, meticulously designed with you in mind. The Larger Suite features a private restroom and lighted makeup counter. Our additional Suite is outfitted with comfortable furniture to relax while awaiting the ceremony. 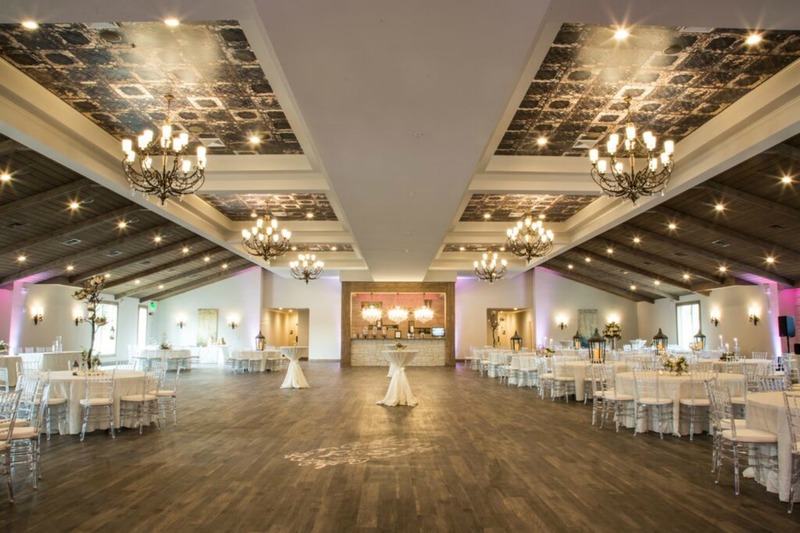 The spacious Reception Hall personifies Texas-chic ambience. The impressive stacked limestone & granite built-in bar and elegant sparkle of the chandeliers will transport you and your guests to a country setting with city style and modern elegance.